Hi everyone! Hope you had a great weekend! 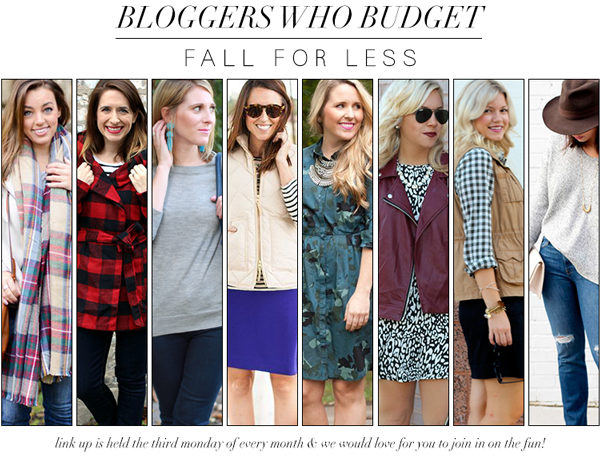 Bloggers Who Budget is styling fall items for $60 and under this month! Can you believe my item was $24.99! Yep, this faux leather jacket was $24.99 at Forever 21! Forever 21 has some great faux leather jackets and they are priced so well! I cannot believe that this jacket was such a deal. It is well structured and I just love this color for fall! Also, next month get ready for an exciting addition to #bloggerswhobudget! We want you to join in on the fun! The #bloggerswhobudget collab will be open for you to link up with us starting next month! November 17th will be our first linkup! Our theme next month is Mad for Plaid with a budget of $75 and under! 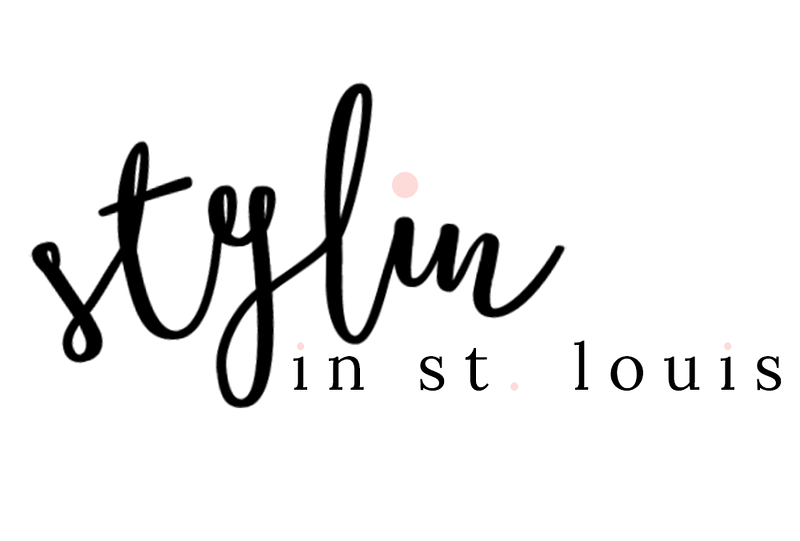 We want to see your budget style. Come link up with us every third Monday of the month! Be sure to check out these other fabulous bloggers below! Love this jacket and that dress is so cute. This lip color looks amazing on you. Love how you turned this dress into an effortless more casual look by adding the jacket! I love this jacket and it's crazy how many inexpensive options their are for faux leather jackets right now. Love love love this jacket! As you know, I'm a sucker for a motto jacket!! Can't wait to join your link up! And thanks for joining mine. I can't believe that jacket was only $24.99 and from Forever 21!!!! What a great find! You've styled it perfectly! LOVE the jacket! And for only $24.99, that's a steal! I definitely will be checking F21 out. Thanks! That dress and jacket pair so well together! Great look! I have a similar jacket from f21, and pair it with everything. The color is so rich. Such a pretty color! I saw that one at mine, but they didn't have it in my size. Such a bummer! Okay that jacket is seriously so cute! I want a leather jacket in like every color, haha... that price makes it so do-able!! That jacket! In love with the color -- and you look stunning! my leather jacket is from f21 too!! the price tag was like $20 or something but it randomly rang up at $14 and i wasn't questioning haha!! also, i have been crushing on that dress, i absolutely love the print and the flounce at the bottom. I LOVE that jacket and especially the color of it. It is from F21? Seriously?! Also, your lip color is great, too! I love this animal print dress! It's so pretty and I really love the color of the jacket with it! I love finding great deals at Forever 21! Gah!!! I love that jacket. The color is so rich looking and the price can't be beat. Love it with the animal print. Ummm I can't even handle the fact that the jacket is F21. Like seriously. Love it. And that dress is fab too! Love that jacket! I always have great luck with finding inexpensive jackets at F21. Wow, that jacket is perfect! I love the burgundy! 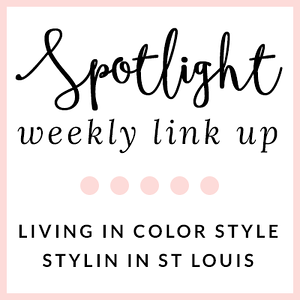 I'm all about splurging on a good black coat, but something more fun like this is the perfect piece for budgeting bloggers! This is a great look and an adorable link up. How do I become involved ? the color of this jacket is just to die for!! SO in love with this dress and jacket paired together! I'm pinning this for sure! That lip color! Tell me more!